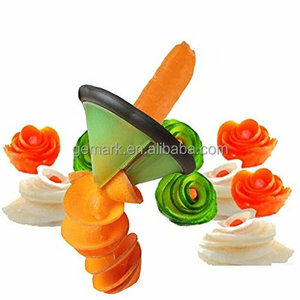 Easy& quick to operate Suitable for carving carrots, cucumbers, etc. The constructed from high-quality plastic and stainless steel. Special, sturdy Japanese blades made of stainless steel. We are looking forward to forming successful business relationships with clients around the world in the future. People always attach great importance to quality control from the very beginning to the end of the production. We want to have a long cooperation with you,so we will offer our best service to achieve a good reputation. a manufactory and trade company in Yiwu, has Cooperated with many professional factories, and enjoys high reputations at home and abroad. We specialize in various products mainly including daily commodity, baby supplies and products, toys and all kinds of accessories. And our customers, including the supermarket buyers, wholesalers and retail shops buyer, have throughout all over the world. 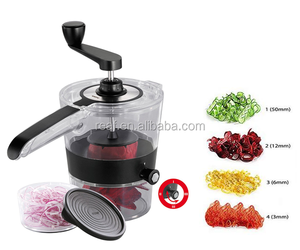 Alibaba.com offers 2,497 spiralizer kitchen tool products. About 66% of these are fruit & vegetable tools, 1% are utensils, and 1% are cake tools. A wide variety of spiralizer kitchen tool options are available to you, such as fda, ce / eu. You can also choose from plastic, metal. 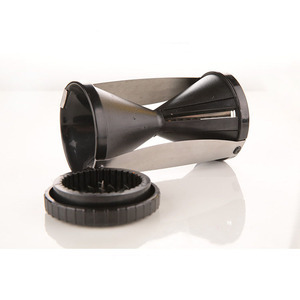 As well as from shredders & slicers, vegetable choppers, and graters. 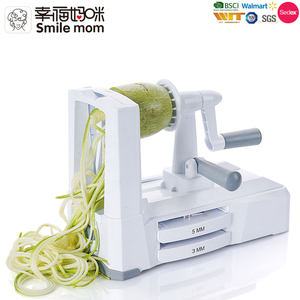 And whether spiralizer kitchen tool is pp, or pe. 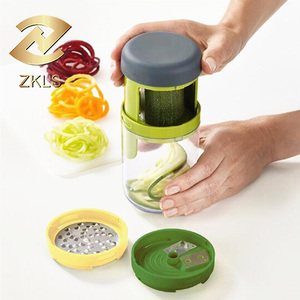 There are 2,432 spiralizer kitchen tool suppliers, mainly located in Asia. The top supplying countries are China (Mainland), India, and Hong Kong, which supply 99%, 1%, and 1% of spiralizer kitchen tool respectively. Spiralizer kitchen tool products are most popular in North America, South America, and Western Europe. You can ensure product safety by selecting from certified suppliers, including 790 with ISO9001, 300 with ISO/TS16949, and 215 with ISO14001 certification.